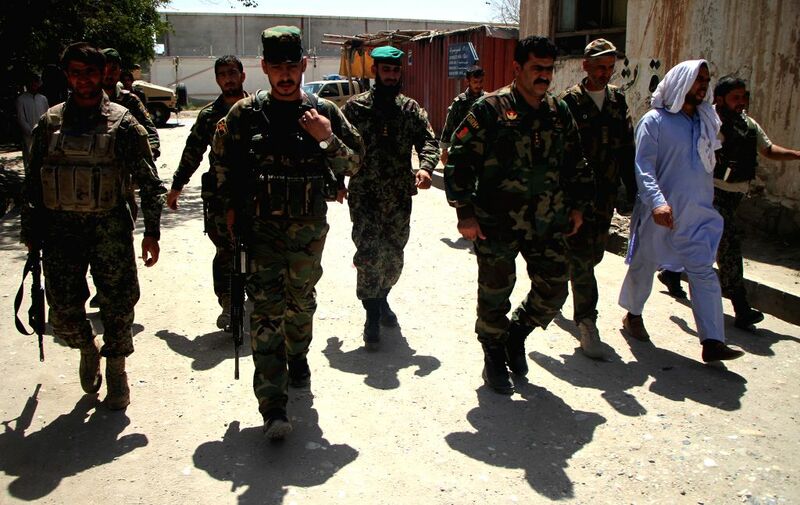 JALALABAD, June 8, 2018 - Afghan security forces members walk at the site of an attack in Jalalabad city, capital of Nangarhar province, Afghanistan, June 8, 2018. 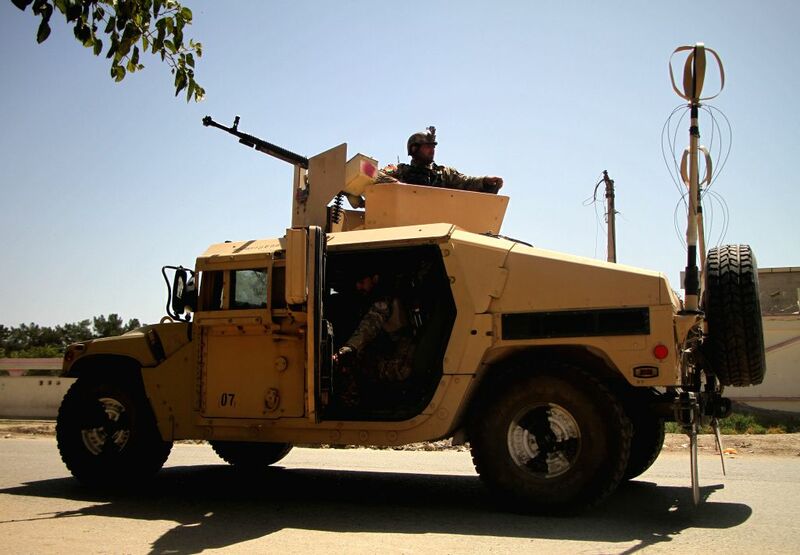 One policeman and an assailant were killed and one police wounded after gunmen attacked a local council office in eastern Afghanistan's Jalalabad city on Friday, a local official said. An Afghan security forces member stands on a military vehicle at the site of an attack in Jalalabad city, capital of Nangarhar province, Afghanistan, June 8, 2018.